The outdoor sports games at “St. Paisii Hilendarski” Secondary School – Plovdiv will gather pupils and students from the first to the twelfth grade and bring them together. 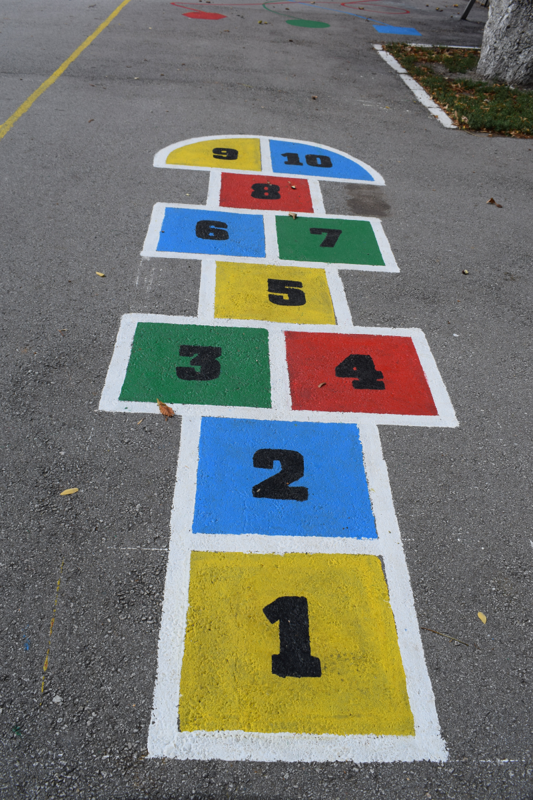 The school embelished its big outdoor playground with the games played by generations of Bulgarian children: “Lady”, “Do not get angry” and “Ladders”. The idea of the initiative is Nikolina Grudeva and Silva Ikimova`s – teachers at the school. It is a part of the international project “Sport Training for All”, funded by the Erasmus+ program. The program is aimed at students between the ages of 7 and 18, including children with disabilities and those living in remote areas. The aim is the adaptation and the inclusion of children with special educational needs in the environment of the mainstream school. That is why the games on the sports ground at “St. Paisii Hilendarski” Secondary School are adapted to the different needs of the students. In each game there is also an easier part for children who have difficulties with the rules of the game. This way, the most important goal of “Sport Training for All” is realized – the inclusion of all children and providing possibilities for doing sports together. The games are painted with bright, eye-catching and playful colors, which is made by the entire team of Physical Education teachers at the gymnasium. One innovation is the balance line. On that line children can go both: forward and backward and thus to develop their balancing skills. The rest of the games are for the development of motor skills, speed, dexterity and agility. The old Bulgarian game “Do not get angry” will develop children’s team skills as well as their patience and tolerance – qualities set in the new direction of the European education. The innovations of the sports playground, which are a part of the “Sport Training for All” project, will be used in Physical Education classes and in the groups studying all day. We expect that the school headmaster Iliya Kartev will give the start of the games at the beginning of the new school year.